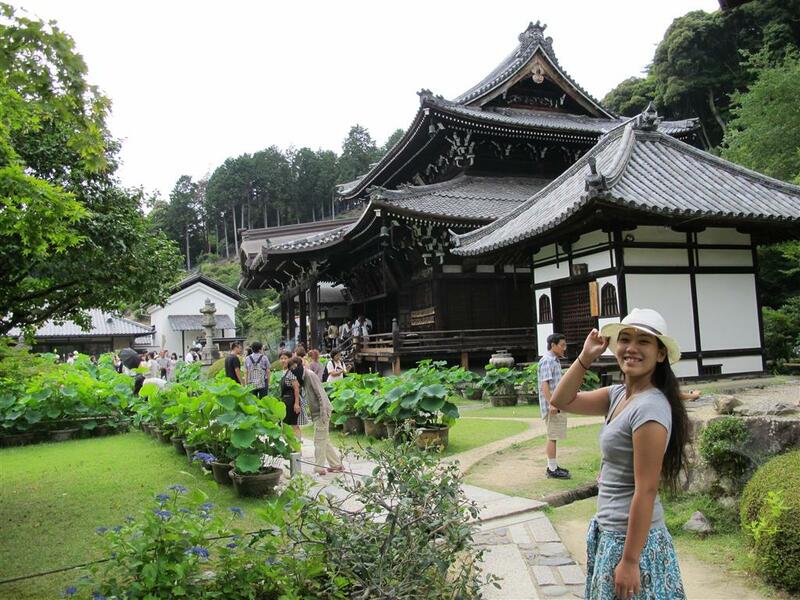 Here are some pictures from Mimurotoji Temple, in Uji which we visited last weekend. We were both very impressed with the expansive and very lovely gardens here. And the hydrangeas in all their many splendoured colours and varieties were amazing. These flowers are on display until July 15th (Monday) so there is still time to see them and the opening hours are 8:30 – 16.30. There were a lot of people there last Sunday but it didn’t feel crowded at all. We took the Keihan line from Shichijo, changed at Chushojima to the Keihan Uji line and got off at Mimurodo station. From there it is a 15 minute walk due east. 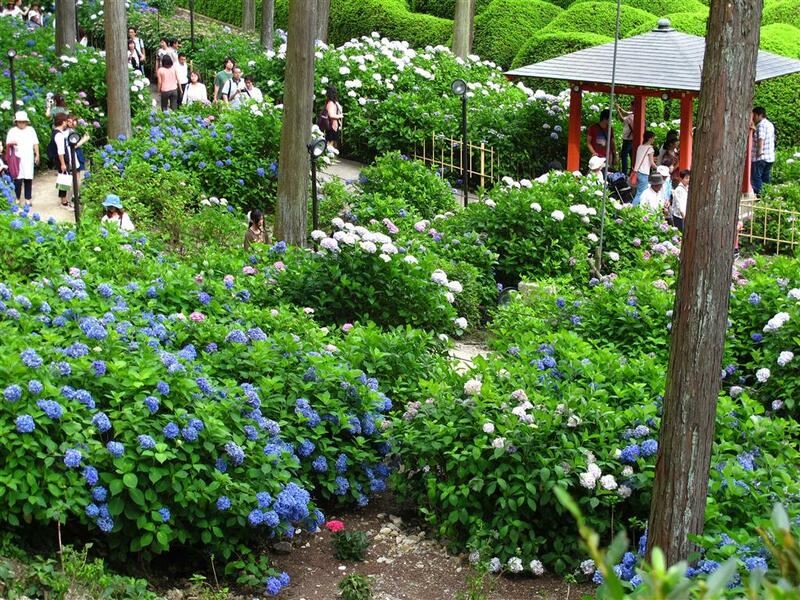 You could also take Bus 43 from the JR or Keihan Uji Stations, to Mimurotoji Temple. The bus fare from JR Uji Station to Mimurotoji Temple is 220 yen. Here is a map. 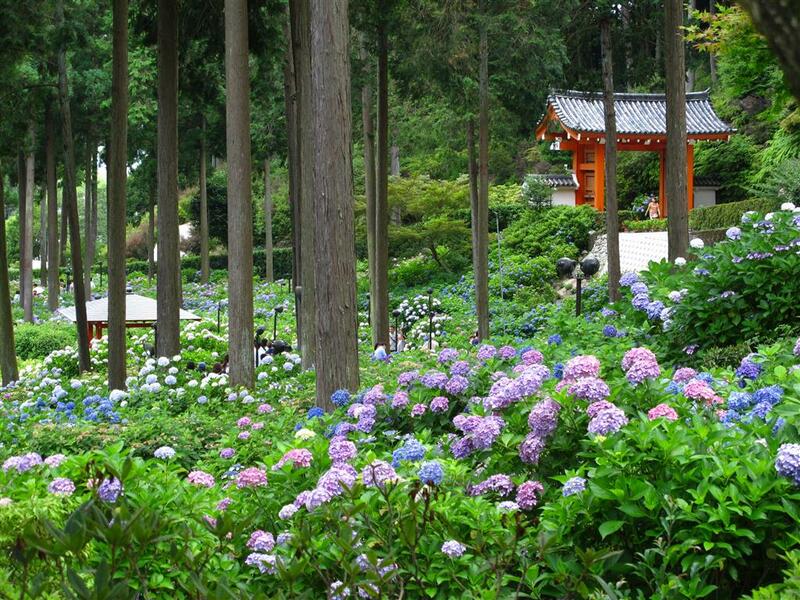 Here are some close-ups on those hydrangeas (the Japanese name “ajisai” is so much prettier I think). will it be possible to visit this garden on July 21? Beautiful photos of the hydrengas! Thank you. Holidays: December 29, 30, 31st. meeting many locals and foreigners visiting Kyoto………………. tomorrow morning , we’re going to Hokongo-in to see the Lotus flowers, and to Fushimi Inari Shrine, Heian Shrine and ………….. I heard the Garden like Monet’s is worth visiting. Do you agree? Thanks for all you do! I will continue to follow your postings!!! Kon nichi wa, email written while here in Kyoto! 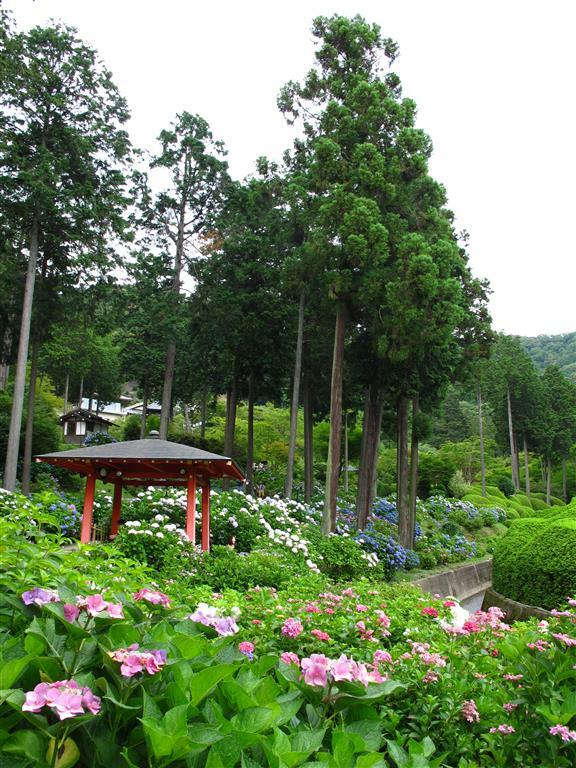 I think you mean the Garden Museum on Mount Hiei… It is a pleasant spot and worth a visit, but of course there is so much more in the vicinity itself. 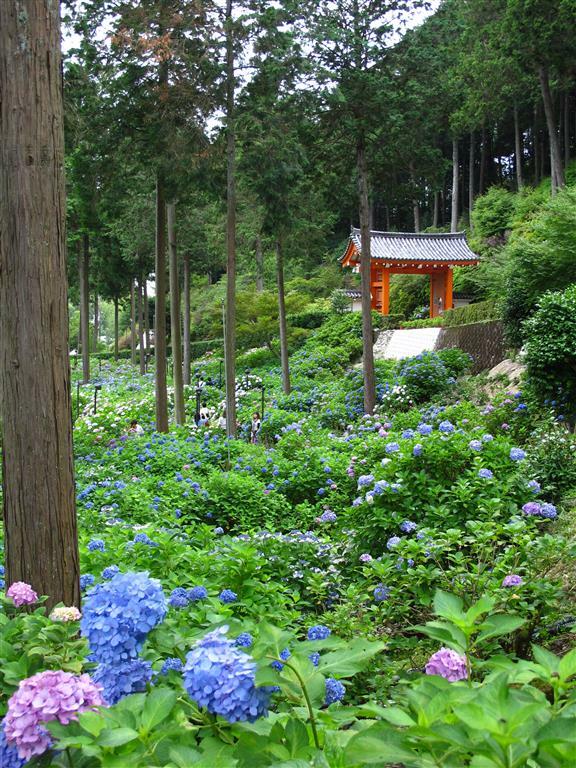 The view from Mount Hiei and Enryakuji Temple alone are definitely worth the cable car trip, and you can easily combine visiting the garden with these other attractions. Anyway, thank you for your message, and your long list of recommendations. It looks like you are having a wonderful trip and I hope you enjoy the rest of your stay.